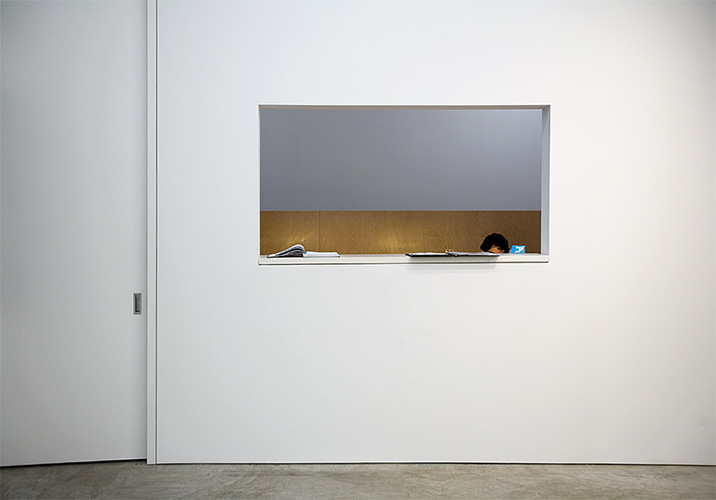 Photographer Andy Freeberg captures Chelsea galleries front desks in Sentry. 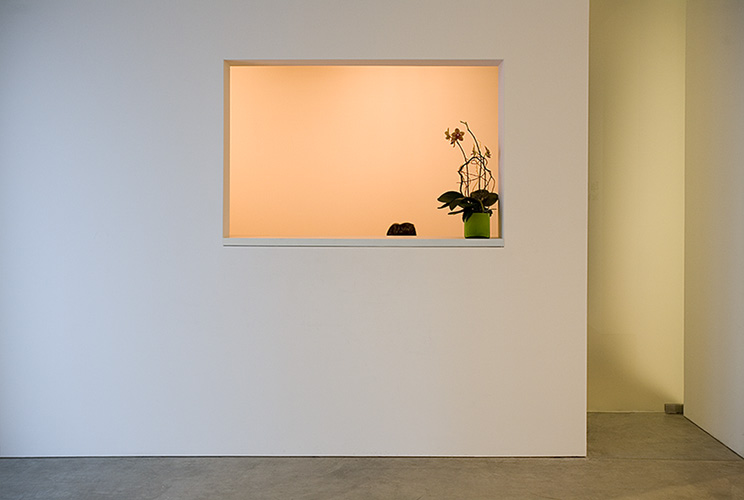 The series grew out of Freeberg’s interest in the intersection of art, architecture, and environment. 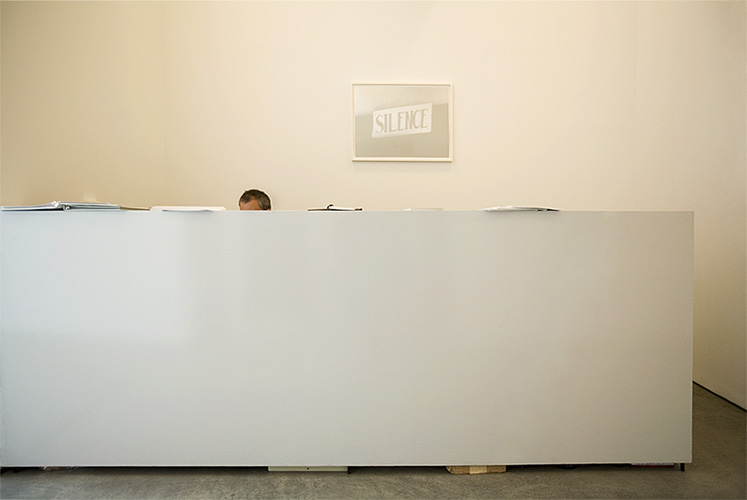 I am still intrigued that a white box within another white volume inhibits stepping up to the desk and asking questions. Yet the modern day dance of perception continues. Another notable Freeberg series called Guardians were taken within Russia’s museums. The pensive looks from the guards, the colors of the walls, and the paintings are an irresistible combination. 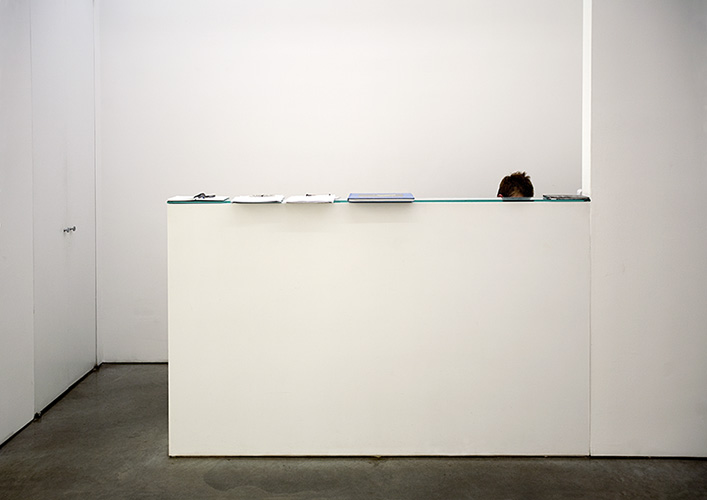 Many New Yorkers and the consummate Chelsea gallery visitor already guessed where these desk were located. 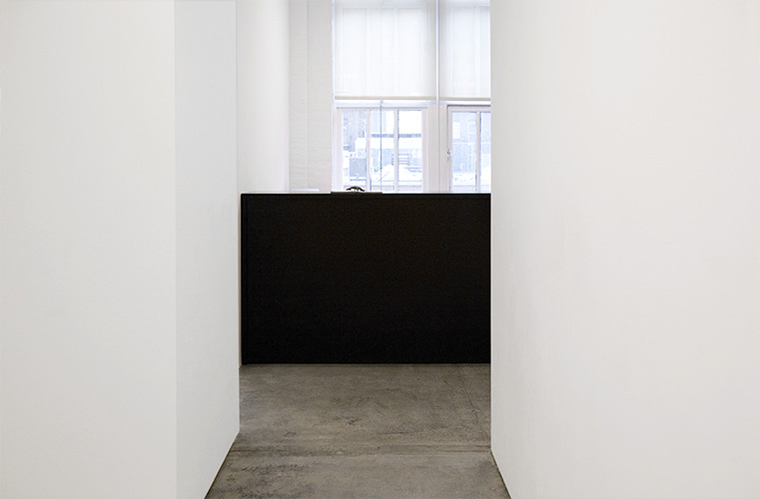 Marvelli, Pace Wildenstein, Sikkema Jenkins, Luhring Augustine, Gladstone, Paula Cooper, Andrea Rosen. Photographs used by permission, copyright © Andy Freeberg. This entry was posted on Tuesday, August 10th, 2010 at 3:59 pm and is filed under Photography. You can follow any responses to this entry through the RSS 2.0 feed. You can leave a response, or trackback from your own site.